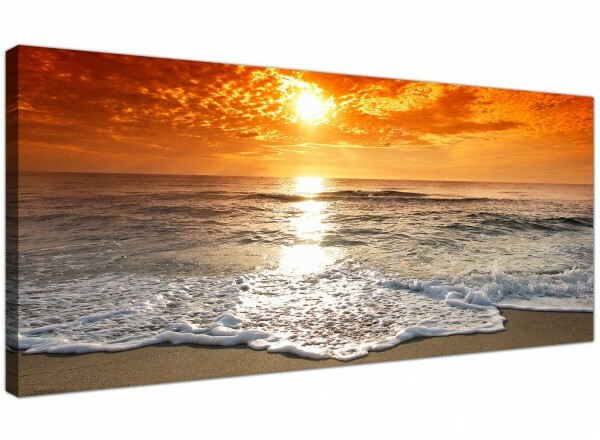 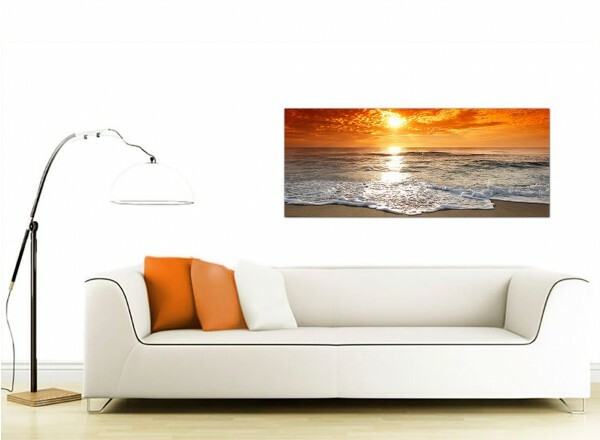 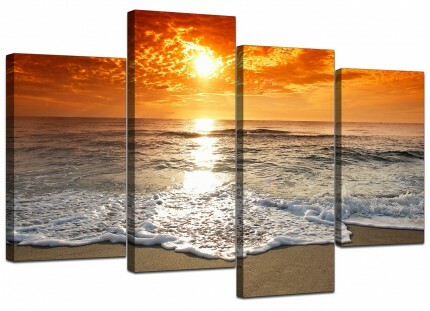 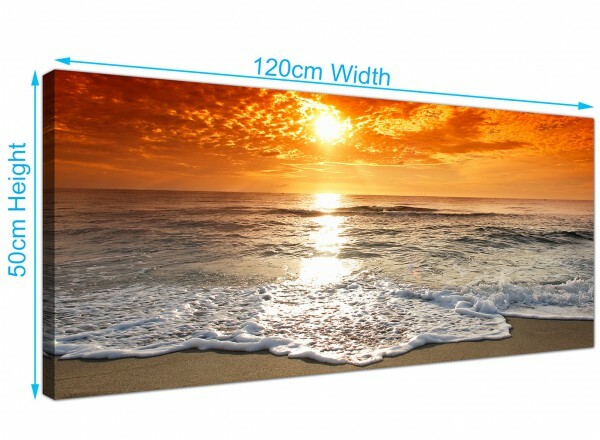 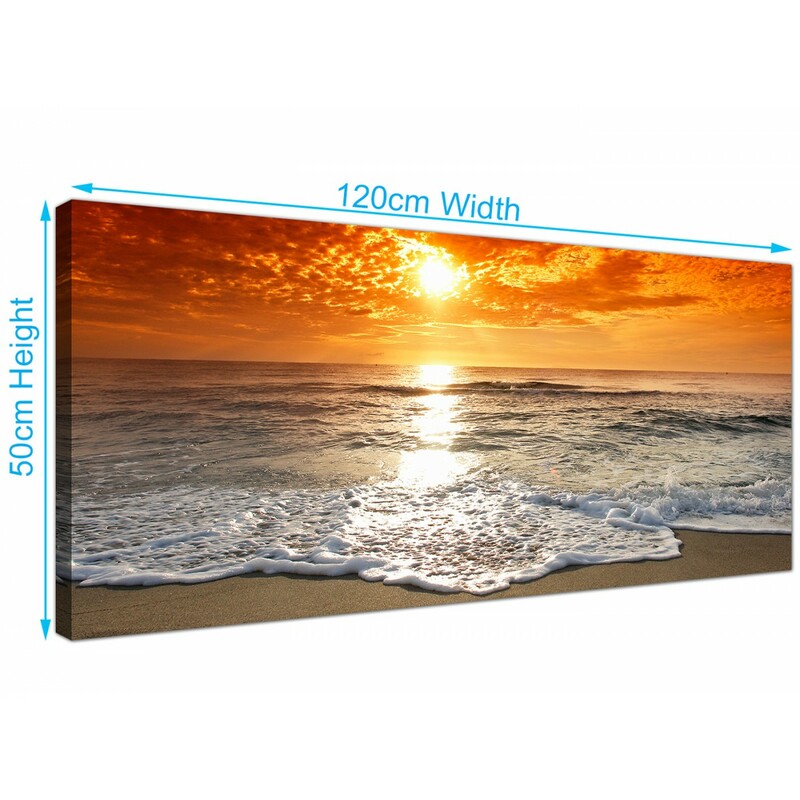 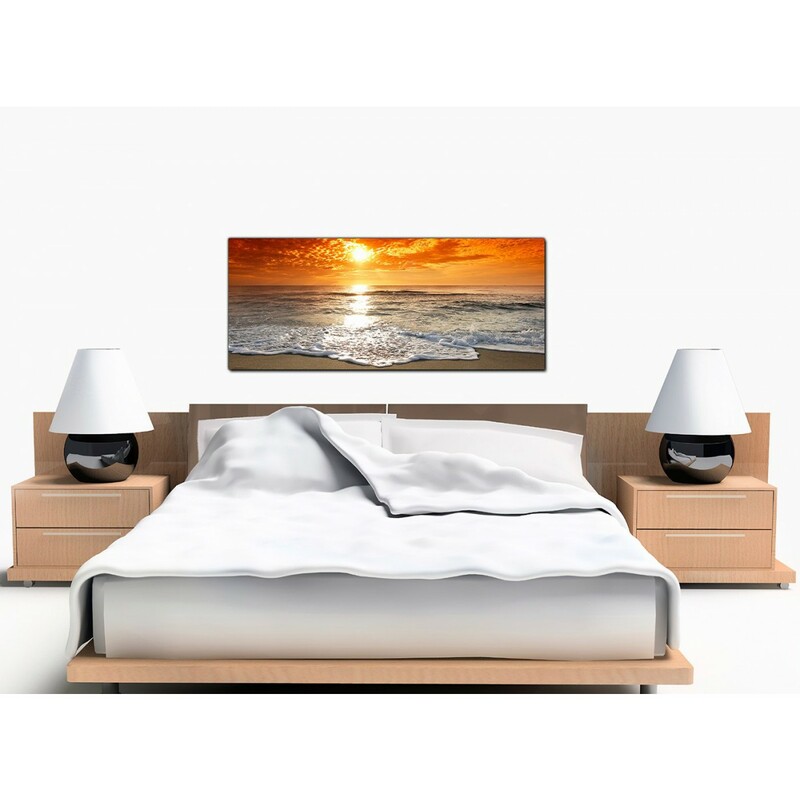 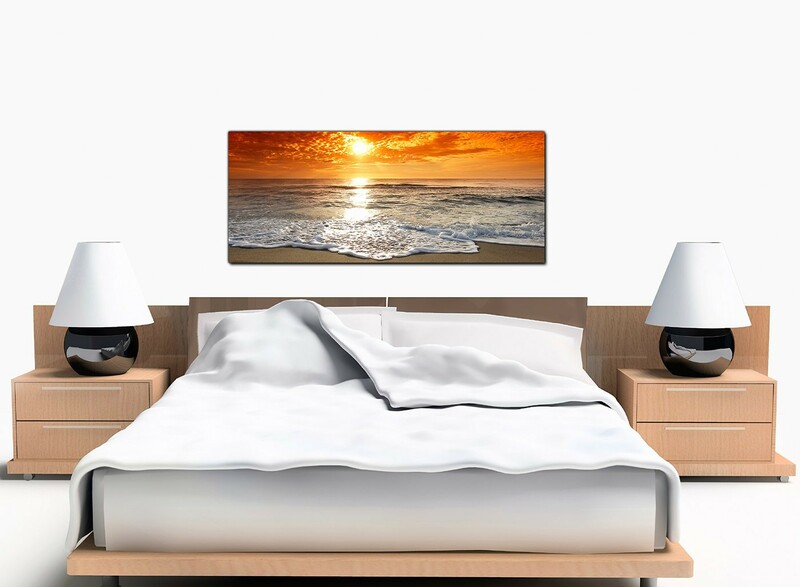 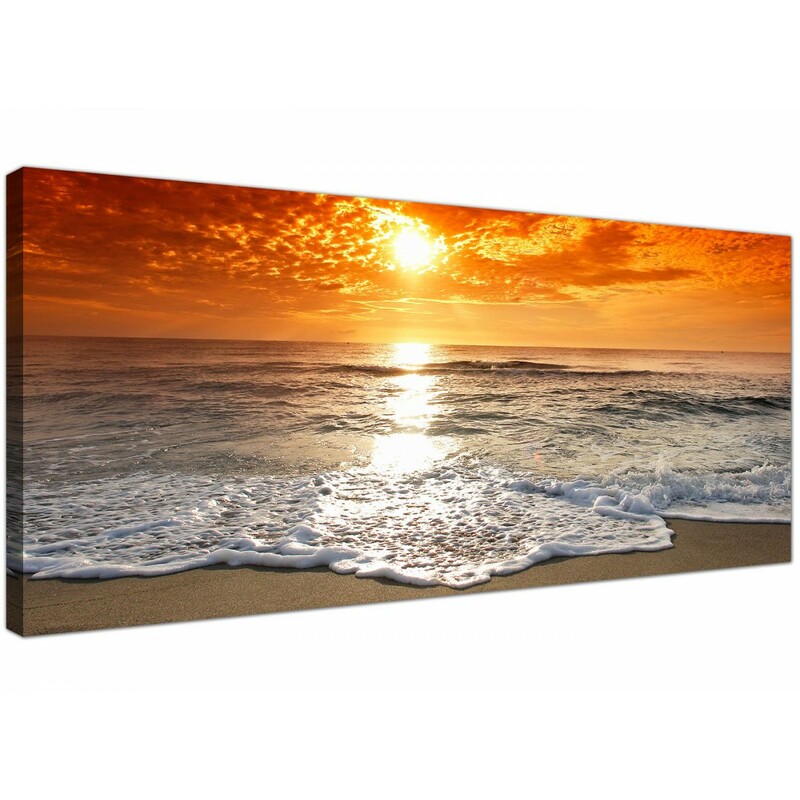 Cheap canvas prints of a warm orange sunset over the sea. 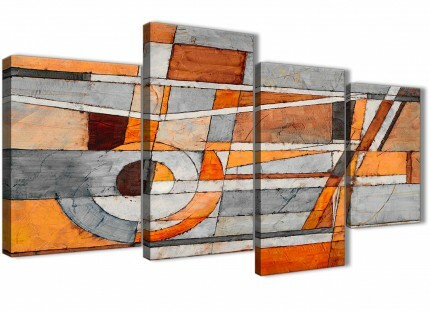 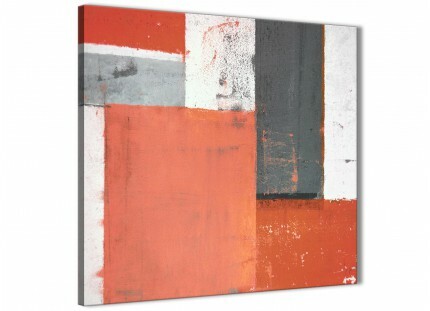 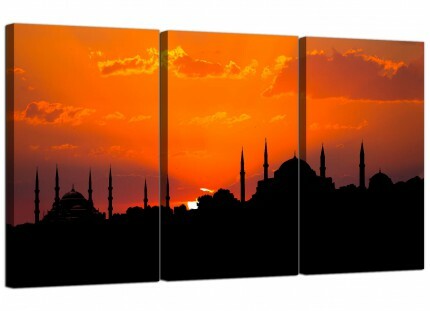 A substantial orange elegant panoramic canvas art print. 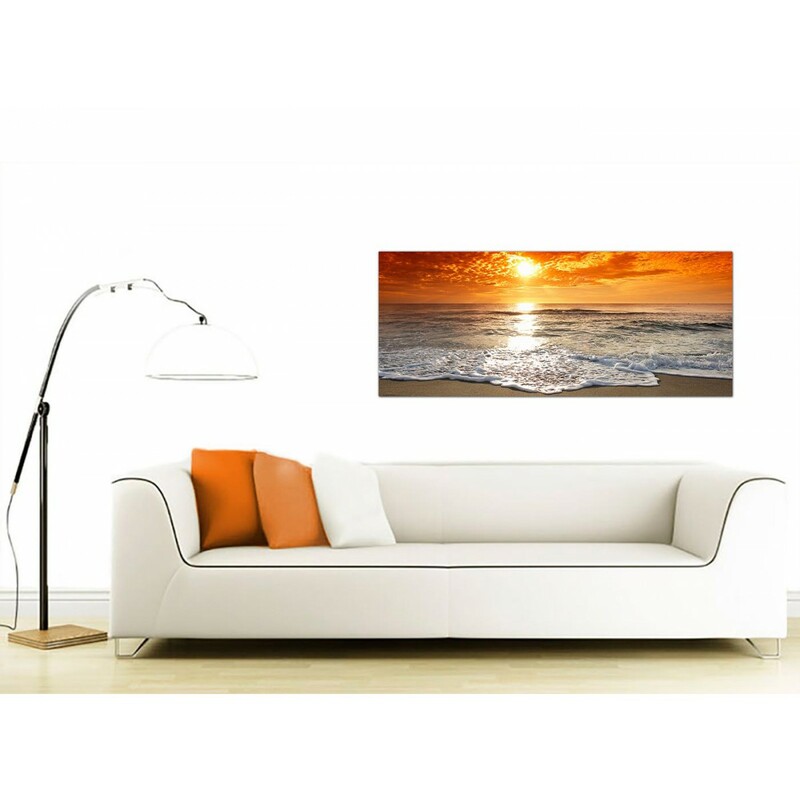 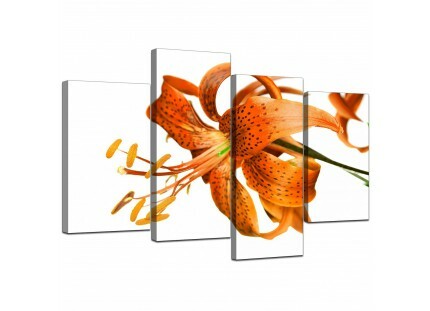 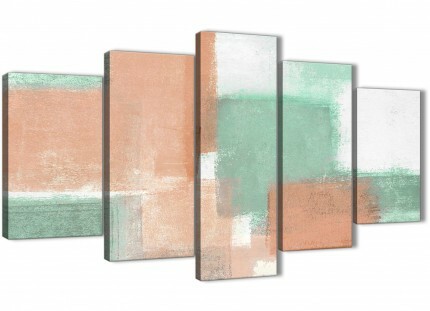 Britain's most loved canvas wall art brand. Suitable width for above your fireplace.